In March Vishalakshi Roy, Director of Earthen Lamp attended Cultural Transformations: The Impact of Hull UK City of Culture 2017, organised by The Culture Place and Policy Institute (CPPI). She reflects on the event, the impact on Hull and what Coventry can learn. 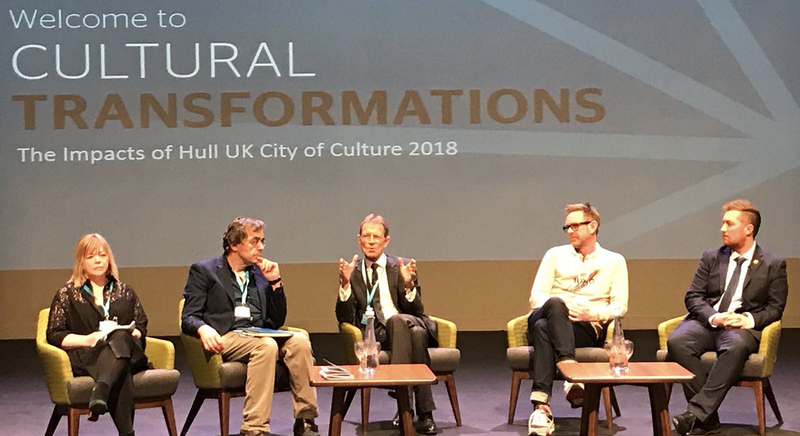 Cultural Transformations marked a celebration, and a point where the Hull UK City of Culture team paused to reflect on the impact of the extraordinary year of culture on the city. Bringing together different stakeholders ranging from academics, local businesses, cultural partners and organsiations, volunteers and funders, 48 speakers presented their experiences and reflections over two days on what UK City of Culture meant to them. The presenters used short (and very engaging!) films, panel discussions, data visualisations, talks and performances to present a range of information. The level of information through the sessions was impressive, and managed to keep delegates engaged throughout the two days of the conference. Firstly, there was no dearth of presenters acknowledging the learning from the different aspects of the programme of activities and sharing stories of what did not work well. This was informative and encouraging for many delegates present, especially for the Coventry contingent (of which I was a part) as they prepare to take on the mantle in 2021. Secondly, the team acknowledged that presenting a holistic research-based impact assessment of a year of activity, three months after it ended is foolhardy and somewhat brave. The team agreed that a more comprehensive assessment of the impact of the year of culture can only be gathered through a long term longitudinal study. The conference would only cover the interim findings of the evaluation. The CPPI aim to carry out a longer term longitudinal evaluation, likely to last up to 18 months. The bid, and the delivery of 365 days of culture in Hull has led to a redefinition of “what is culture”. In the initial stages, the Hull city plan was based on ‘Jobs Jobs and more Jobs’. The social impact case was seen as secondary to the economic impact case. Redevelopment of the city centre was critical and, in the run up to the 2017, Hull became known as the ‘orange barrier’ capital of the UK. It is important to acknowledge the impact of the City of Culture activities on smaller cultural organisations in the city. Loss of volunteers, audiences and in some cases funding were noted. 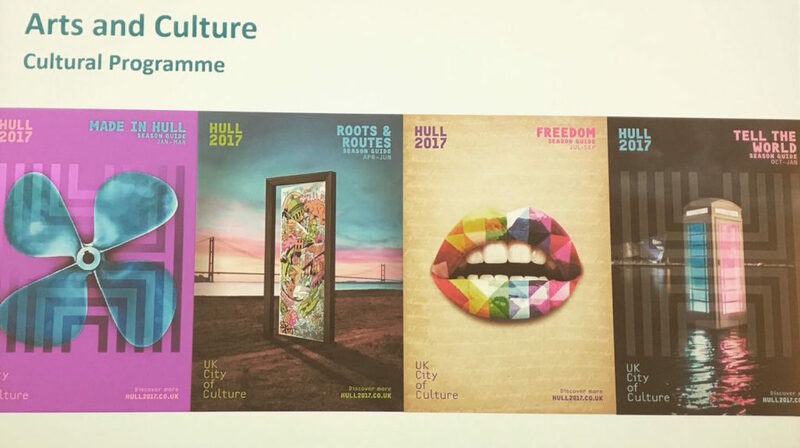 2400 volunteers contributed to Hull City of Culture and were crucial to every element of the programme from planning to evaluation. The evaluation suffered from not having access to baseline data for the various areas of impact. It would have been much easier to make a case of improvement if baseline data had existed. Thought was given to engaging the whole population of the city, including how 0-5-year olds can be meaningfully engaged through the City of Culture programme. The programme outlined the importance of celebrating local hearos and historical events that are meaningful and engaging for the residents of the city. Many examples of how this can be done were presented. The team stressed that funders and corporates are more than cheque books – they are genuinely interested in the city of culture and should be engaged in a way that helps them contribute more than their financial resources. Was the mission of Hull 2017 achieved? Is this the end for culture in Hull? The answer to the first two is a resounding Yes and the last, a very firm No. The full impact report for Hull City of Culture 2017 can be downloaded here.